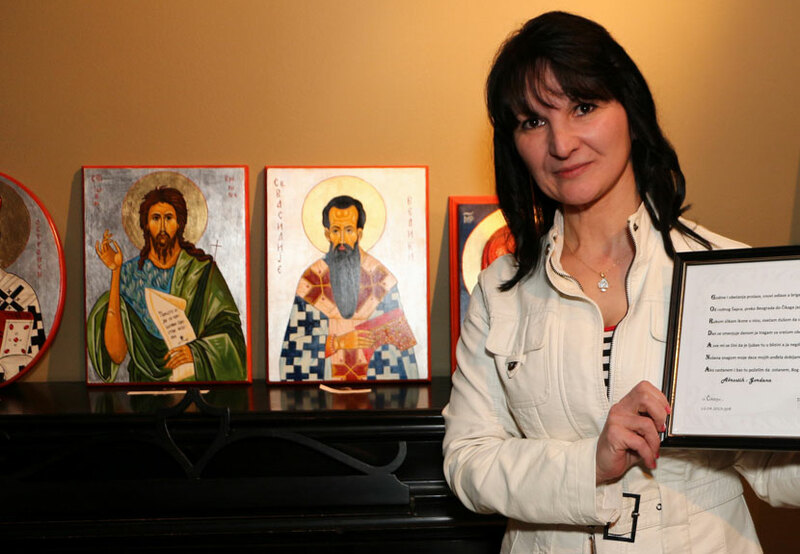 It is the time of the year where members of St. Sava Serbian Orthodox Church in Merrillville, Indiana may have homes blessed by Father Marko. The 2017 Schedule for Blessing of Homes is now available for download in both Serbian and English languages. Blessing homes of Orthodox Christians is done each year after the feast of Theophany. This act is the central sign of God’s sanctification of all things through Christ’s baptism in the river Jordan and his epiphany to the world. The sanctification of the home takes place with prayer and the sprinkling of holy water. The priest, at this annual visit, asks God to have mercy on the house, to rid it of every evil and to fill it with every blessing. Everyone of the house prays together for the living and the dead of the family, and all who live and have lived in the house. They all sing the hymn of salvation and process from room to room while the priest blesses the house. Примање или не примање свештеника за водицу, постало је, на жалост, у српском народу “знак распознавања” оних који су остали верни традицији и своме српском имену и оних који су са овим “раскрстили”. Долазак свештеника у дом треба да причињава велико задовољство јер имамо прилику да присуствујемо породичној молитви у оквиру које се свети водица. Пожељно је, по могућности, да сви чланови присуствују молитви, да буде прислужено кандило (ако га има) да кућа или стан има икону пред којом се на столу свети водица. Пожељно је (ако је у могућности) да све просторије буду поспремљене како би свештеник сва одељења окадио и покропио освећеном водицом. Свештеник на томе неће инсистирати али ће приликом кађења и кропљења ући у собе на којима су врата отворена. Освећење водице по домовима није само &quot;пуки&quot; обичај, него насушна потреба самих верника, који осећају потребу да повремено буду освећени и очишћени кропљењем светом водицом. Код православних Грка има доста породица које захтевају од својих свештеника, да неизоставно сваког месеца долазе и врше освећење воде по домовима и у бизнис просторијама. Искористимо долазак свештеника да се по потреби учини молитва за здравље, за породични мир и сл. Доживимо ову годишњу посету свештеника као празник јер су плодови ове посете корисни у оној мери колико придајемо значаја овом догађају. 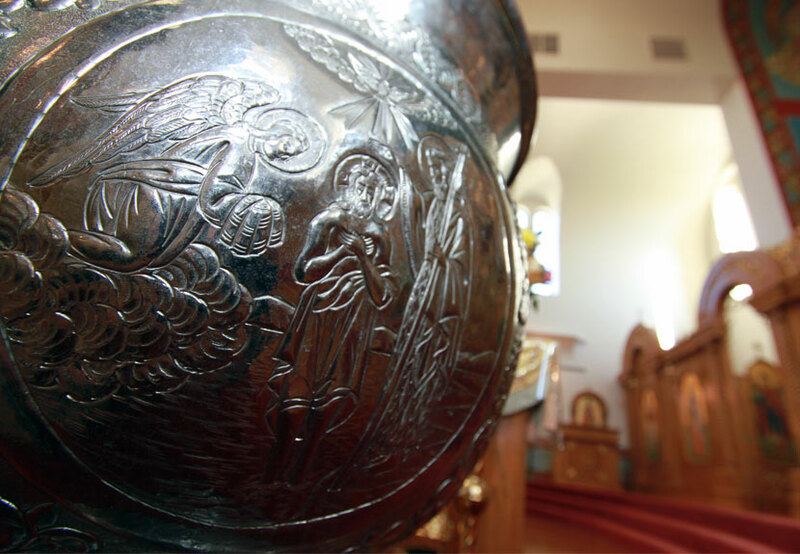 It is an Orthodox Tradition for the priest to visit his parishioners at their homes and performs the lesser blessing of water. That God will mercifully hear the prayers which are offered by the family. That the Almighty and Eternal Lord will send His holy angels to protect, save, watch, visit and safeguard the family members from evil powers. That the faithful who are sprinkled with Holy Water may be free from every unclean and satanic action. That the air in the home may be clean and healthy. That all strange powers which may create insecurity to the family will be removed by the grace of God. The house should be clean and in order. The vigil, if there is one, before the icon should be lit. There should be a candle with matches beside it. A plate or bowl with a little water should be placed on the table, turn toward the east and the icon. A list of names of the living members. Doors of the rooms where you wish the priest to enter and sprinkle the Holy Water should be kept open. After the blessing, if the family does not wish to keep the holy water, it is appropriate to pour it over a plant, flower, under a tree, or any place where it will not be stepped on.